Today, almost all multinationals are facing the challenge of building dynamic, creative, interactive, and efficient digital communication. Branding’s landscape has changed over the past five years. Corporate branding begins, internally, with adjusting digital content in numerous regional portals. It’s crucial to stand out in the crowd. It has been shown that retailers, lawyers, beauty care distributors, pharmaceutical companies, and banks have to focus on their internal communication in order to improve their businesses. All of them are struggling to send short and precise messages to their employees in order to communicate one or multiple cultural shifts. Employees are submerged by tons of e-mails, messages, directives, and goals to achieve, without an updated strategic vision of their companies’ goals. Presidents and CEOs communicate most of the time, ambitions or numbers without listening to questions from the larger audience. We strongly believe in the creation of new types of internal brand positioning campaigns in place of the more classic types that have been typically used by HR departments. We believe in creating multitask and multicultural workshops with the goal of developing winning interactive communication. It may not come easily, but a new way of communicating can be achieved. 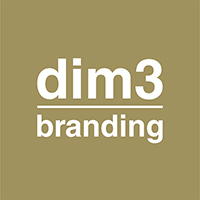 At dim3branding, at times, we recommend radical changes by adding comics, short films, illustrations, etc. In shaping our clients’ future goals, we determine our priorities and plan step-by-step developments. We use our experience to help create rigorous implementation programs and will be there for you every step of the way to improve omni-channel internal communication.